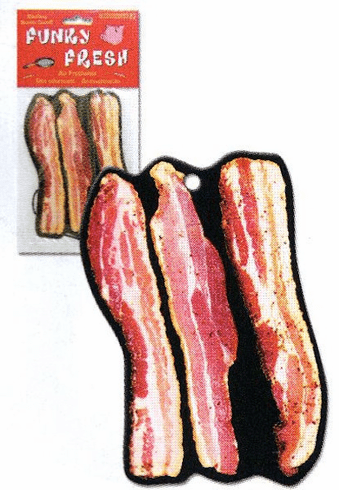 Love the smell of bacon in the morning? Well, you can have it anytime you get into your car! Heavy card stock. 4" tall. String for hanging included.